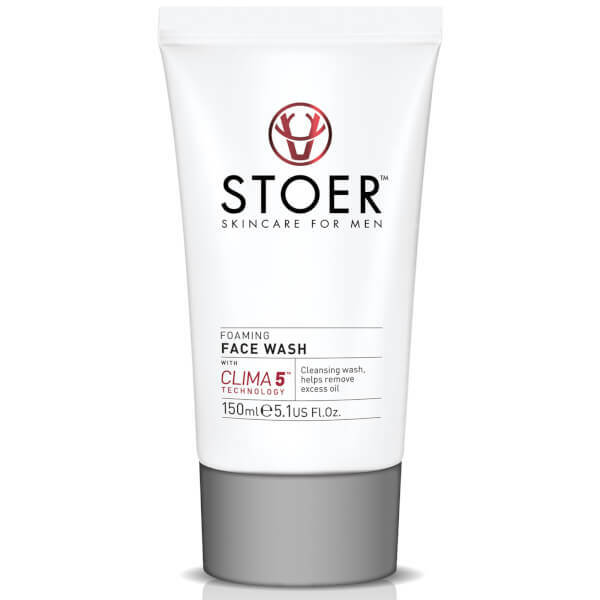 Catering specifically for men, the Stoer Skincare Foaming Face Wash is the perfect addition to your daily grooming routine. Powered by the brand's signature Clima5™ Technology (a unique blend of five skin-saving plant actives from four very different, individually challenging climates), the two-in-one cleanser and shave cream gently eliminates dirt and pore-clogging pollutants, whilst softening and preparing facial hair for a comfortable shave. Skin feels smooth and hydrated after use. 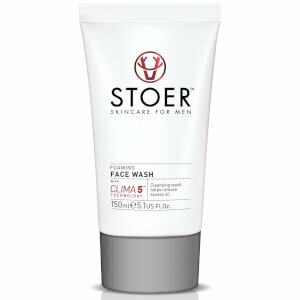 As a cleanser: Apply a small amount to damp skin and work up into a lather. Rinse off thoroughly. As a shave prep: Apply liberally and work into a creamy lather with fingers or a shaving brush.